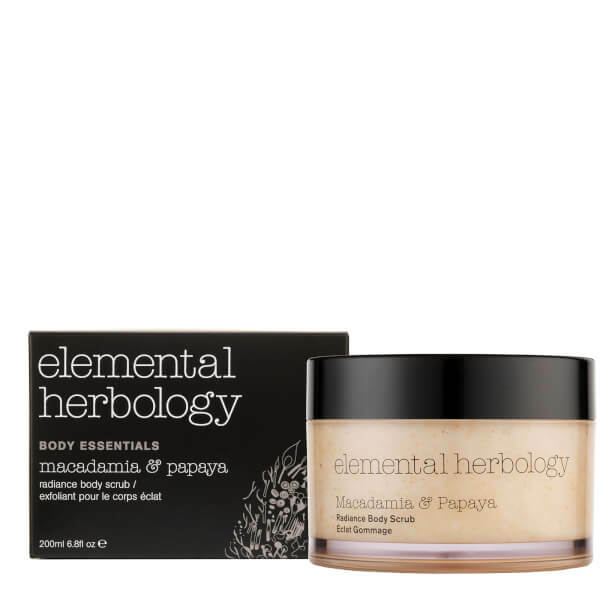 Perfect for all skin types and for pre/post-holiday pampering, the Elemental Herbology Macadamia and Papaya Body Scrub helps buff away dry, flaky skin for silky smooth, radiant results. Combining Fresh Cells™ Strawberry and Kombuchka™ patents with 15 actives and 9 bio oils, the renewing formula will effectively tone and purify the skin whilst improving texture and delicately exfoliating with Papaya, Sea Salt and Sugar. 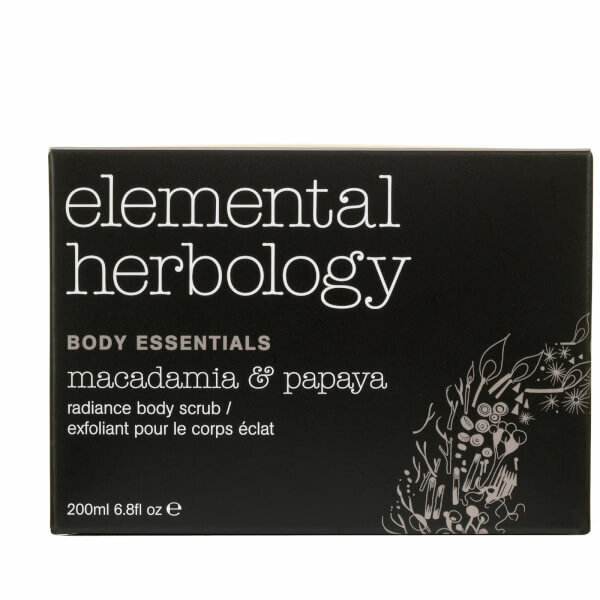 Free from synthetic fragrances, artificial colours, mineral oils, sulphates, parabens and preservatives. Massage into skin using an upward motion paying special attention to areas of dryness. 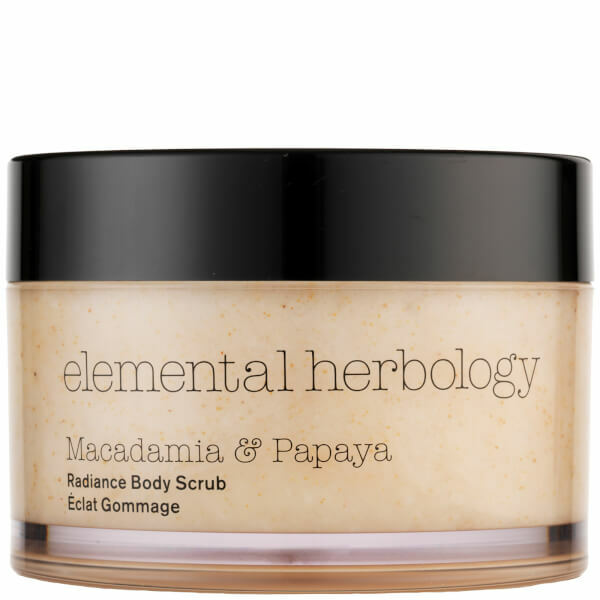 Leave for 2 minutes before rinsing off with water to allow fruit enzymatic exfoliation.